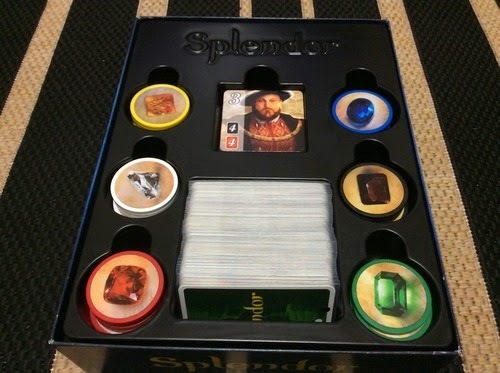 There's been a discussion on BoardGameGeek about a new game called Splendor. Unusually, everyone seems to love the game. It's been well manufactured with great components, it's easy to learn and play, it has a good rule book and I picked up my copy for around £22, so very affordable I would say. The discussion however, has been about the size of the box. The photos illustrate the point. So, why is the box so huge? The main responses centre upon having a box of 8.5"x11"x2.8" (21.5x27.6x6.7cm) that will sit prominently next to other games of equal stature. All very subjective I'd say but once I started thinking about it it's true. 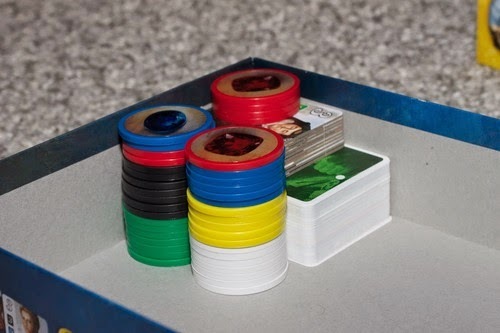 Any game coming in a smallish box, say the size of two packs of cards, can't possibly be anything other than a light filler, once of those games without much brain-power needed for the start or end of an evening. It'll last about half an hour tops and normally cater for up to six players. Anything that comes in a small, compact box simply cannot be greater than that. Looking at my collection there are some gems to be had in small boxes. And yet they don't get the love they surely deserve. Is it to do with box size? Well, yes, perhaps it is. I'll list the following; The Great Heartland Haulage Co., Glen More, Lungarno, Aton. All punch well above their weight but I've struggled to get them played at the club. There are then those that come in boxes way bigger than necessary, that confirm that the opposite is also true, i.e. the box is at least medium size and therefore the game must be a good strategic one inside. These would include Battle Line, Carcassonne, Race for the Galaxy, all highly regarded. Interestingly, a lot of two-player games come in a standard, square box of around 8"x8"x1.25" (20x20x3.2cm). Your expectation of it being a two-player game is set up by the box size. You'd be surprised if it could play more. 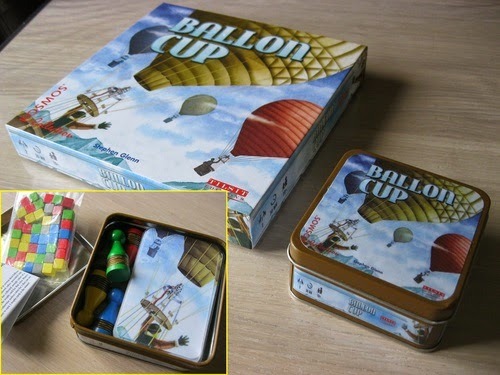 Balloon Cup is one such game, part of the publisher, Kosmos's 2-player series. Yet even the French guy who's picture I've stolen has made himself a very smart tin one to hold everything in. On the other side of the argument are those games collectors who try to conceal the fact that they own too many games by decanting as much as possible into smaller boxes. You should see the expansions I have in my Carcassonne box, or Agricola, even allowing for my luxurious cotton baggies from www.thecleverbaggers.co.uk. I guess that box size will also come into the equation of pricing a game. The smaller the box the cheaper it must be right? Yet, make it a medium size and charge low and the suspicions about it will escalate. There's no way they could have turned out a good game for that price in that size box, unless the components are sub-standard perhaps? Anyway, I've got Henry of Grublin thinking about this issue now as part of the Waggle Dance manufacturing process. I'm sure he'll make the right call for the game! Like the article. Personally, less is more for me. I want smaller, more compact boxes that are appropriate to the contents inside. 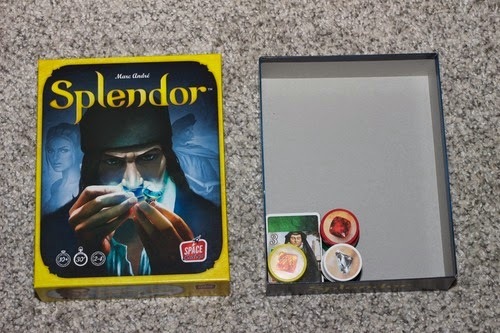 I really dislike the games that you open up and the only storage space is the trough in the middle, the rest of the box is just blocked out with cardboard. And no, it is not just Queen the do this.